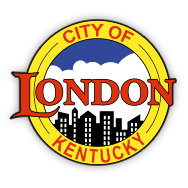 To the City of London garbage residents only, Spring cleanup will be the month of April. You can get one (1) truck load of EITHER brush OR junk picked up at no cost. Should you need any extra items picked up, don’t hesitate to call for pricing. Please place your items neatly by the city street and allow us at least three days to pick items up for you. Please call 606-864-5521 when you are ready to be placed on the pick- up list. ALSO, DON’T FORGET TO USE OUR FREE RECYCLING, located at 950 TLC Lane, London, KY. This service is free to everyone and opened 24 hours a day, 7 days a week.